Images you receive on your iPhone don’t automatically save to your Photos app, but you can save pictures from Messages on iPhone—you can even save all of the photos you send and receive. iPhone users have also asked how they can save all pictures from Facebook or how to simply save a single image from Facebook. We’ll cover all of these subjects with step-by-step instructions. Let's get started learning how to save pictures from text messages and Facebook on iPhone. When a new phone hits the market, along come the cases to accommodate it. My desk is cluttered with new cases with more pouring in every day. So, rather than an endless stream of individual case reviews, I’ve decided to cluster some together for a case round up. I have two Findables cases to review the FlexStand and the FlexWrap. Findables cases are truly unique. They are called findable for a reason. If you lose your phone, and it’s in a Findable case, all you have to do is go to the free Findables app (what case comes with its own app?) and change the status of your phone to lost. 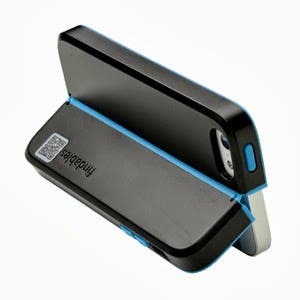 If someone finds it, they will undoubtedly scan the embedded QR code on the back of the case. They will then be instructed how to return the phone. Chances are you will get your phone back. Pretty slick. If ever there were a creative company with lots of fun and useful digital toys and accessories, it would Kinivo. Today we’re going to review the new BTM440 Bluetooth Mono Headset. This mono headset uses a micro USB connector for charging and comes with the appropriate cable. Charging time is 2–3 hours for a full charge. Talk time can be up to 5 hours so that’s pretty good return on the investment. Standby time is up to 150 hours, which is an excellent shelf life. I’ve already made my displeasure known about iOS products not having removable batteries so you can carry a spare. And when the battery goes bad you have to send in the device to be repaired at rapacious rates. Wouldn’t it be better for all concerned to be able to slip in a new battery when it goes dead? Oh well. Nobody listens to me. One of the problems with iOS devices is that they do not have replaceable batteries, so you can’t slip in a spare when you run out of power. There is an easy solution, however, when you don’t have a handy wall plug. 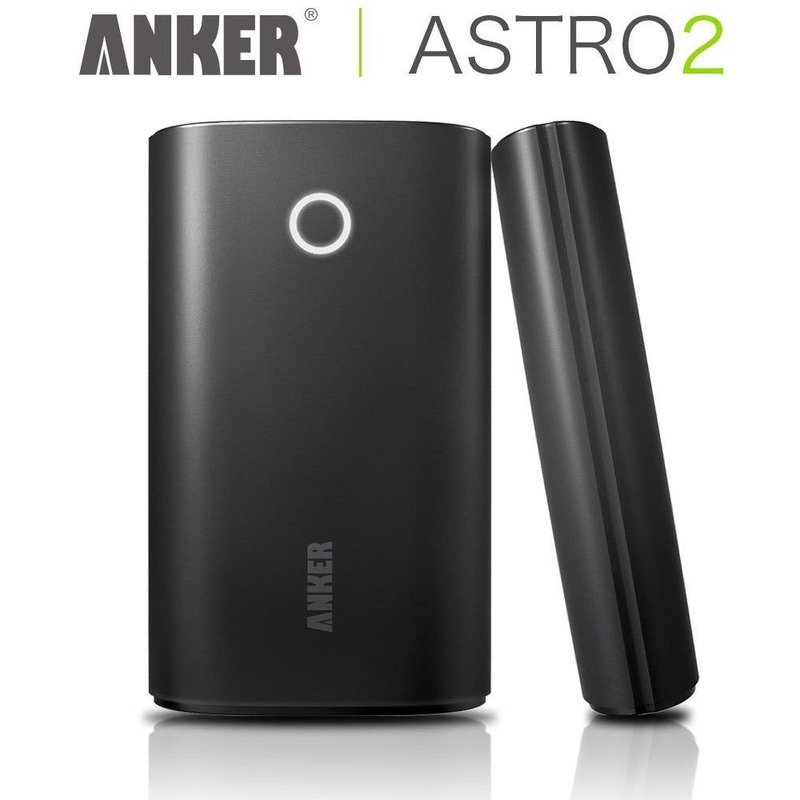 Enter the new Anker Astro2. 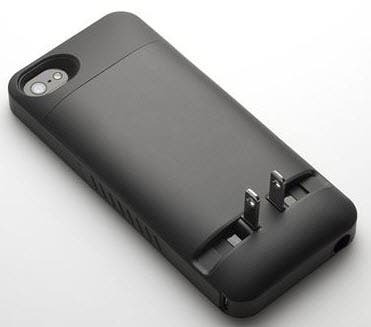 It is a powerful external battery, and it will solve your problem. Ten One Design has some great products. I’ve already reviewed their brush stylus, which makes drawing like painting with water colors. Today we’re going to talk about the new Ten One Design Magnus Mini stand for the iPad Mini. Tablets are great, but one can get weary of holding them. A stand makes prolonged use much more convenient and comfortable. Enter the Magnus Mini. It’s not a big, old bulky stand that unfolds like an artist’s easel and takes up a lot of room. Instead, it measures 4.25 x 2 inches. It weighs just 5/8 of an ounce. You can toss it in your bag or put it in your pocket. Pull it out when you need it, and you’re in business. 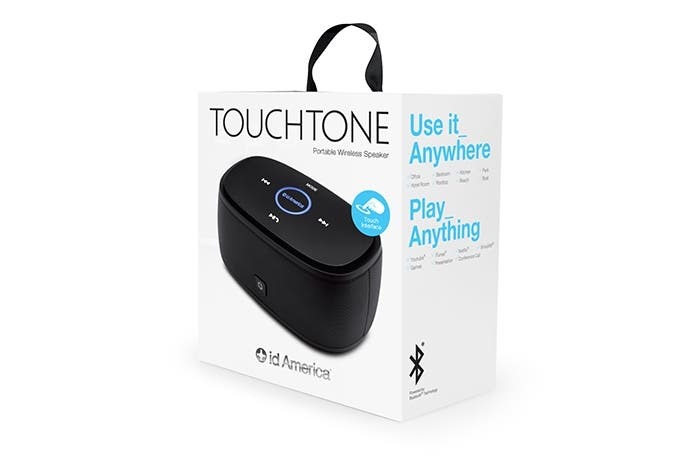 As far as portable Bluetooth speakers are concerned, I would say that the Touchtone ($79.95) is in the mid range. 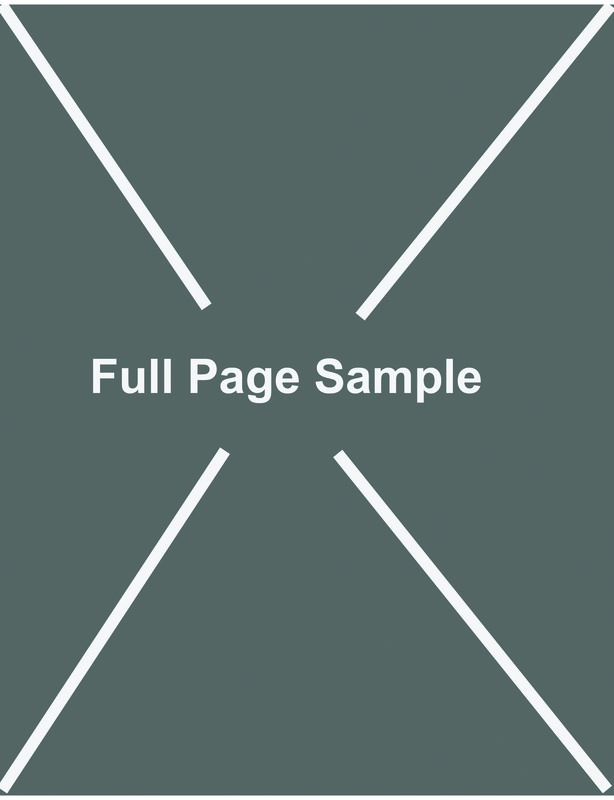 It measures 5 x 3 2.25 inches and weighs 13.5 ounces. You can use it anywhere and play anything on it including videos, YouTube, and your favorite tunes. It also doubles as a speaker phone. If you have it connected to your phone, it will stop the music playback and broadcast your call. When you are done with the call, the music will resume. So it’s a great hands-free device as well. Rock-It ($19.99) has been around for a while, but the new 3.0 edition has a built-in rechargeable battery. 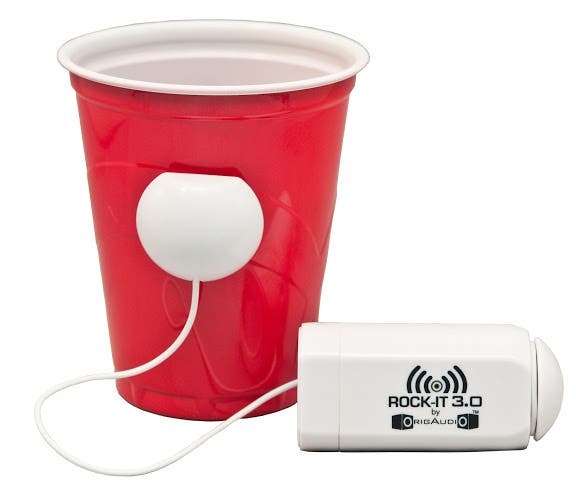 Rock-It claims that it can turn anything into a speaker. “Plug it, Stick it, Rock it” is their slogan. On the package it shows such objects as waste baskets, boxes, suit cases, umbrellas, cars, beds, printers, lamps, and cups as sound transmitters when coupled with Rockit. Well, in my experiments, some objects work better than others. For instance I stuck it on a heavy Dansk stoneware bowl and got very little volume or vibration. But when I put it on a plastic bowl, it brought the house down. I didn’t have very much luck with coffee mugs. I found that paper and plastic cups worked better than ceramic cups. They seem to vibrate more. A large mailing envelope sitting on the counter did pretty well. The best results came from a large cardboard box. It’s fun to experiment.